The Tizen phone has been pushed back for 2 years or more now and today (January 14th), we finally hear that Samsung is launching it in India today at $90. Yay? 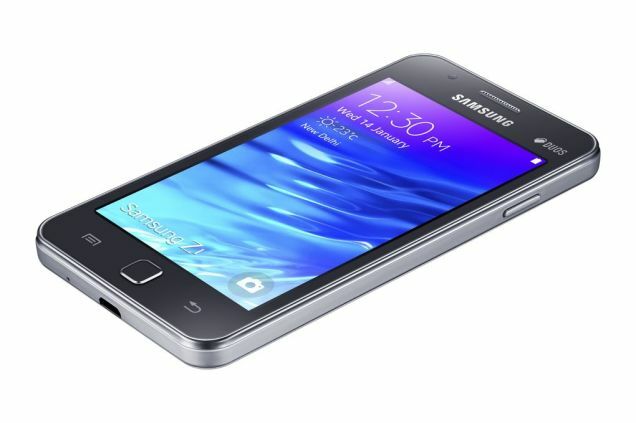 The Z1 is Samsung’s first Tizen based smartphone and is targeted for the entry level market. It features a 4-inch WVGA (800 x 480) display, a dual-core 1.2GHz chip, 768MB of RAM, and a 1,500mAh battery. On the front, it has a VGA camera along with a 3.1-megapixel shooter on the back. The device comes with 4GB of storage, a microSD card slot, Bluetooth 4.0, a 1500mAh battery and 3G. We are unsure whether the stated RAM is just what is user accessible or the actual amount being shipped. What is “special” about the device is that it runs Tizen 2.3 instead of Android. It seems almost laughable that Samsung is trying to compete with Android, Windows Phone and iOS given their app diversity. However when you consider the entry level market, Samsung may be on to something. With Tizen, the South Korean tech giant is promising a fast and smooth UI with great battery life, things highly valuable in the entry market. Aside from that, they are also offering bonuses such as free streaming of some Bollywood movies to the Indian consumers which comes off as great incentive. If the company can put core application onto Tizen and make things work nice and smooth (preferably smoother than Android and Windows Phone) they may have a chance. The fact that the Z1 is an entry level device does not disappoint me, rather the lack of focus on Tizen is what is bugging. Samsung delayed this OS for SO LONG that as a consumer, you expect something great and exciting to be waiting. Yet here we are with the company saying that the OS is smooth and not that battery hungry. What I as a consumer want to see is Samsung do something special with Tizen, make it worth a second thought and not just some other alternative in the low end game. As of now it is too early to make any judgements/predictions on the device so we will wait until we can see Tizen in action and will be sure to share our information and experiences with you. Stay tuned to Techhetron for more coverage!